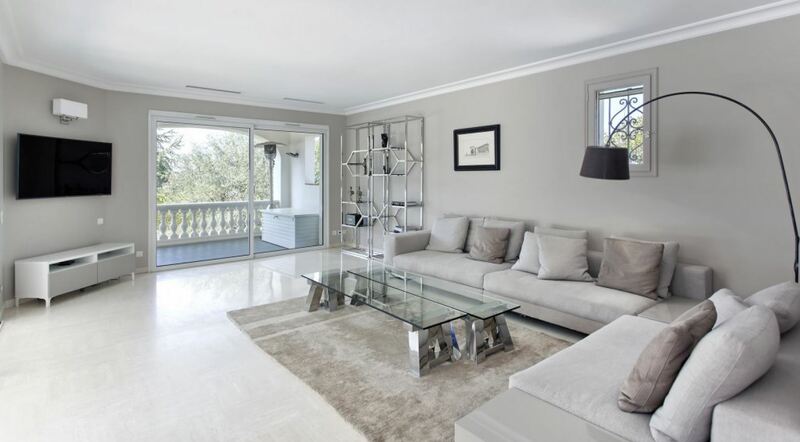 This stunning villa is situated in a closed and secure residence, close to the centre of Cannes. The property boasts beautiful views of the sea and the Esterel mountains as well as a swimming pool and a south-exposed terrace. 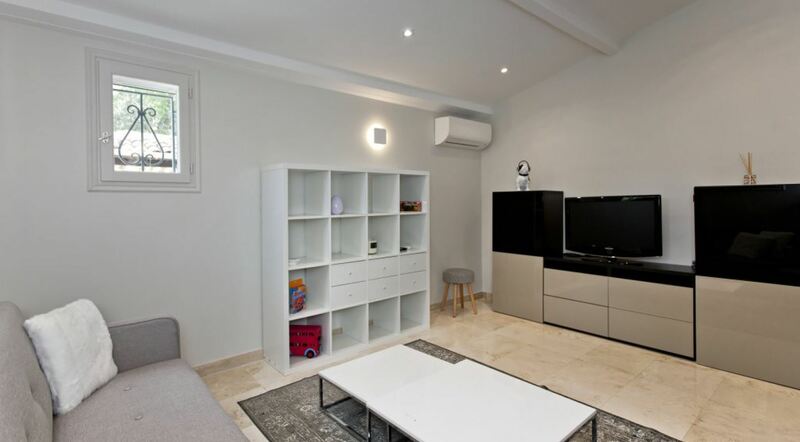 The interiors of the property are spacious and bright with a lovely large living room complete with a sumptuous corner couch for 7-8 people, 2 comfortable chairs and a flat screen television. The lounge has direct access to the generously sized terrace. The dining area is beautifully stylish with a dining table to accommodate up to 4 people. 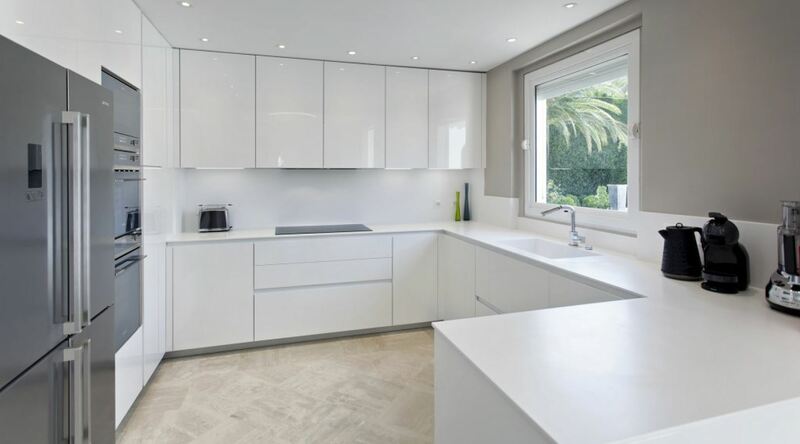 The kitchen is modern and fully equipped with top of the range appliances and a view onto the garden. An additional larger dining area can accommodate up to 8 people. 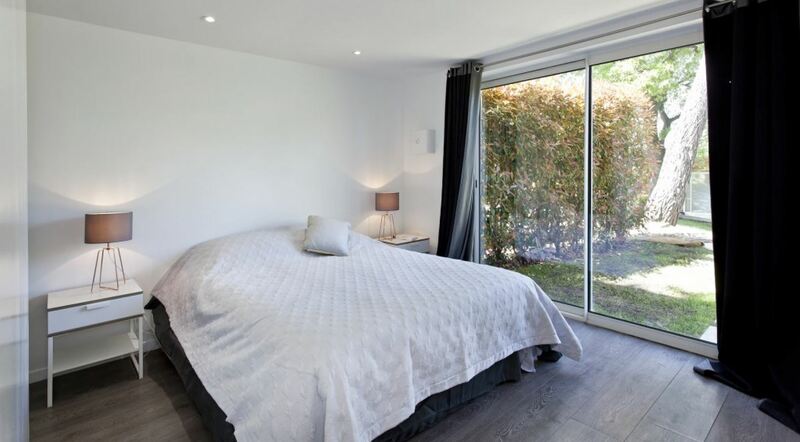 The master bedroom opens directly onto the terrace and features a lovely view of the swimming pool, large wardrobes and an en-suite bathroom with a shower. An additional double guest bedroom with an en-suite shower room is featured on the ground floor. On the garden level of the villa, there is another 3 bedrooms available to use. Each of these bedrooms include an en-suite bathroom with one of them having a view on the garden. The villa includes a separate guesthouse that comprises of a double en-suite bedroom and a studio apartment. The apartment has a gorgeous lounge, bedroom and a shower room. On the terrace, guests can appreciate the summery weather that the French Riviera is famous for. A wonderful summer lounge area can comfortably seat up to 12 people. Around the swimming pool, there are plenty of sun loungers to ensure tans are topped up or the Jacuzzi provides a luxurious setting to enjoy sunsets. A professional kitchen is equipped with high-end appliances.